The end of another year is a chance to have a look back and decide what we want to change and how we want to change it. Oh and of course it’s a time for great parties and some extra time away from the office and the every day grind. I really wanted to put together a nice list of the best feather fashions photos from 2018 but there was just so many to choose from and that’s it, the time is up the year is really almost over. Have an AMAZING New Years…. I actually came across this picture while looking around for Hollywood Christmas photos. What happened in the end? I found myself trying to remember what had really happened in that movie Vanilla Sky. For some reason I couldn’t remember what movies I had seen Penelope in. Which made me think about memories in general and then I came across Vanilla Sky. Now if you have not seen the movie yet, and you like those kind of movies that are a mind trip, you should definitely see that one. But any way back to this awesome dress Penelope wore to the Emmy Awards this past September. The head line of the Harpers Bazaar article said that it took over three hundred hours to embroider, looking at the dress you wouldn’t be surprised. Here is a link to that if you want to read more. Well she didn’t wear it for Christmas, but all you need is to add some red in there and it would be perfect for the holyday. Even just a red feather boa would do the trick. 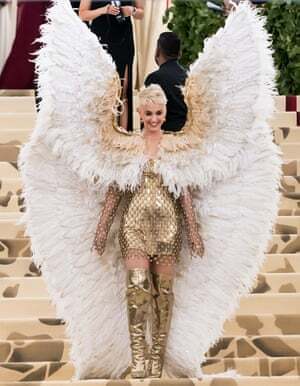 We all loves adding feathers to our clothing and using them to decorate, but in my humble opinion Chrissy Teigen took this a little too far. Instead of just adding feathers to her bag or picture frame, she went all the way and had them attached to her body. The picture at the top is part of the Instagram (or was it Twitter) shot which she shared with her fans. And before you scroll down I feel I need to warn you that the full picture may make you feel uncomfortable. I know that body jewelry has been around for ever but still some thing about surgically inserting these things under the skin is just too much. Maybe the fact that they are feathers (well not real feathers) which I always feel are a symbol of the natural world. But then again maybe that is the beauty in for some people, the way that we can form nature and our bodies. Very cool looking, but Chrissy you took it too far. You can decide for your self. 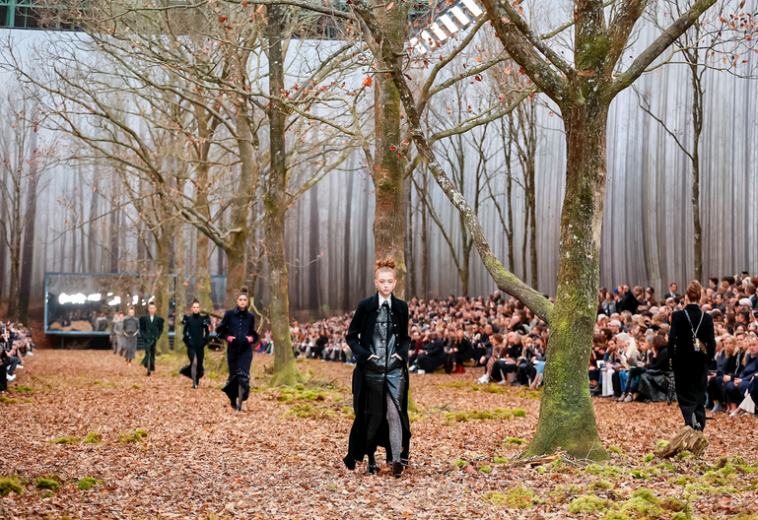 This past fall Chanel had their models walk through a forest during their ready-to-wear fashion show in Paris. 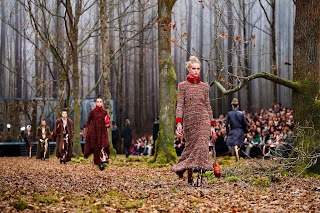 When I first saw these pictures from the show I was sure that it was done in an actual forest. 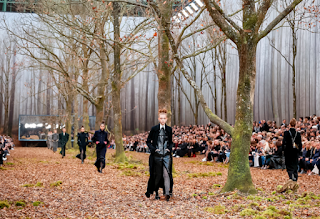 But the truth is that it was done in the Grand Palais that was incredibly decked out so that it simply looked like these models were walking through a forest. 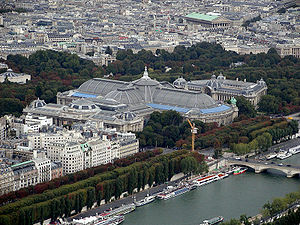 The Grand Palais is a huge historic site, exhibition hall and museum complex in Paris France. I really have a lot of respect for Karl Lagerfeld, Chanel`s head creative director, he is the one who put the whole thing together. 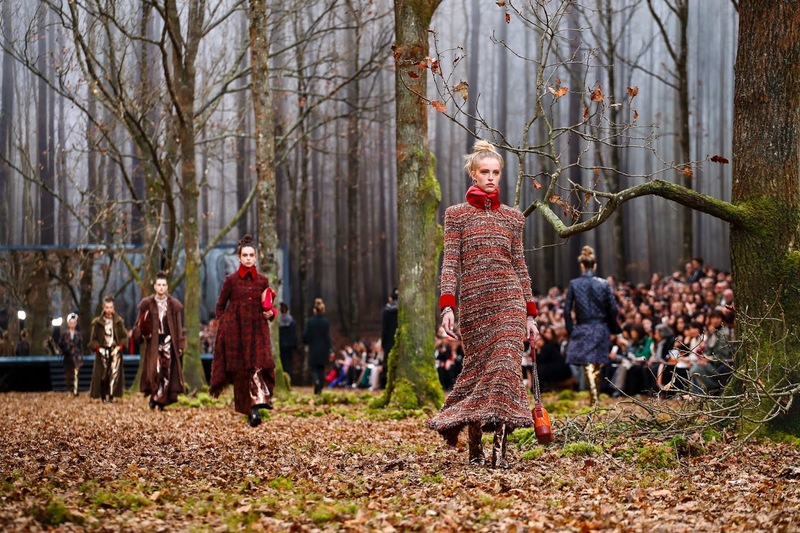 I honestly expected to see a lot more feathers in the natural, fall colored, forest setting. But the only one I found is the picture at the top of this post. This is for sure one of the most original fashion show themes that you are going to see. Some thing about it makes me think of Christmas` trees and how beautiful and magical it is when we bring nature into our lives and homes.